Glenna Houk Waller (President/CEO) is the daughter of Frances (Peggy) Carroll Houk and the late Dean Houk. She was married to Larry Waller for fifty years prior to his death in 2015. They have two children, David Waller and Melanie Waller Foster and 9 grandchildren. Glenna enjoys reading and spending time with her family. Her favorite scripture is Philippians 4:13 “I can do all things through Christ who strengthens me.” In 1995 she was recognized as “Barnesville-Lamar County Outstanding Career Women” sponsored by the Barnesville Rotary Club. The Georgia House of Representatives adopted a resolution in 2002, recognizing and commending Glenna as a distinguished Georgian for her efficient, effective, unselfish, and dedicated public service to the citizens of her community and state. 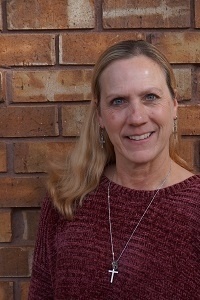 Glenna has been involved in the LCW/LCP Ministry since its inception. She was elected President of Little Children of the World in 2009 after serving as Vice President and Chief Financial Officer for many years. She has traveled to the Philippines over forty times and now feels it is her second home. Her greatest joy is serving God through LCW/LCP and feeling like she can make a difference on this earth and in eternity. Glenna resides in Barnesville, Georgia where she is active in her church and community. Marie Lou Patrimonio-Abbott (Vice President of Sponsorship) has a special connection to LCW. Her story is a true testament of how this wonderful ministry can help a child. Marie Lou grew up in Dumaguete City, Philippines. Her sister, Marla Patrimonio-Nomo, was once a sponsored child. Marie Lou’s mother, Cerila Patrimonio, has been working for Little Children of the Philippines since the infancy of the ministry. Marie Lou grew up watching her mother work for the ministry that she truly loves. Cerila is the Peace and Faith Steward; she goes through the communities and teaches Bible Studies. In 2002, Marie Lou came to the United States as Georgia Rotary Student. It was made possible through Mr. Larry and Mrs. Glenna Waller. While studying at Gordon College, Marie Lou and Glenna Waller traveled to several speaking engagements for the ministry, and while on one of these speaking engagements Marie Lou met her now husband, David Abbott. Marie Lou and David have one son, Alex. Before working for LCW, Marie Lou was a licensed nurse and worked in a hospital in Virginia. But in 2011, Marie Lou felt God calling her to work for LCW. She began part time and in 2012 became a member of the full time staff. Marie Lou believed that God had called her to work for LCW so that the precious children and youth in Dumaguete City, Philippines will have a chance for a better and brighter future. Marie Lou’s favorite Bible verse is Psalm 37:3-5, “Trust in the LORD and do good; dwell in the land and enjoy safe pasture. Take delight in the LORD, and He will give you the desires of your heart. Commit your way to the LORD; trust in Him and He will do this.” When Marie Lou is not at LCW, she spends time with her family and son. She enjoys walking and running, and loves to play word search puzzles. She also teaches a Wednesday night Bible study for children at her church. Marie Lou and her family are currently residing in Stockbridge, GA.
Before joining the LCW family, Kalee Korb (Full Time Administrative Assistant) and her family were stationed in Belgium, however she and her husband Chance were both raised in Barnesville, GA. In 2018 Chance retired from the Air Force and they moved back home along with their two children Aidyn Leigh and Conner. Kalee has known about LCW all her life and has always felt her mission in life was to make a difference in the lives of children. In January of 2019 after a dinner with Melanie Foster, God called Kalee to the ministry. When Kalee is not working she is enjoying her family, planning her garden or renovating her house. Her favorite Bible verse is James 2:14-17, “What good is it, my brothers and sisters, if someone claims to have faith but has no deeds? Can such faith save them? Suppose a brother or a sister is without clothes and daily food. If one of you says to them, “Go in peace; keep warm and well fed,” but does nothing about their physical needs, what good is it? In the same way, faith by itself, if it is not accompanied by action, is dead.” Kalee’s daily mantra is “Let not my will, but yours be done God” and she hopes to carry that with her throughout her career with LCW. Mary Kate Blalock (Part Time Administrative Assistant) first heard of LCW when Melanie Foster coached her high school volleyball team. She was heavily influenced by Melanie’s coaching as well as Brittany’s friendship throughout her high school years. Mary Kate grew up in Barnesville, and lived here her whole life until she went to Statesboro, Georgia for college. She recently graduated from Georgia Southern University with a Bachelor’s in Business Administration with an emphasis on Finance. Her favorite Bible verse is Isaiah 41:10, “So do not fear, for I am with you; do not be dismayed, for I am your God. I will strengthen you and help you; I will uphold you with my righteous hand.” When Mary Kate is not at LCW, she works as a Realtor in Pike County and surrounding areas. When she is not working, she enjoys staying active outside with her dogs, Scooby and Bo. Mary Kate loves helping people, and she is excited to be working for LCW to improve the lives of children in the Philippines.